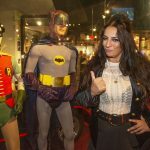 It was a night of interviews, action figures, and Showbiz Hero Accolades at the Hollywood Museum on the Thrilling 13th night of November, 2018, as fans, stars and Super Heroes alike descended upon the Old Max Factor building to assist in unveiling a most timely display: The 20th Century Super Hero Legends Exhibit – Fighting Evil! 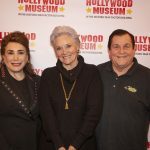 Hosted by Hollywood Museum President and Founder Donelle Dadigan, highlighted speakers included Producer of Superman the Movie Ilya Salkind, Batman and Robin’s own original TV Robin, Burt Ward and Bionic Woman herself (and animal activist) Lindsay Wagner. 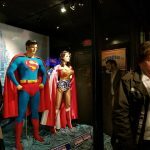 Exhibit pieces of note were ample and manifold and consisted of everything from the filmic but factual world of Superman and Wonder Woman encompassing the actual costumes from both the cinematic romp and 70s TV show respectively. 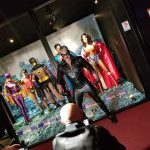 Mannequins enrobed in authentic emulation of Batman, Robin and Catwoman also flanked the justice fighting duo, right out of the 1960s TV show in their own right! 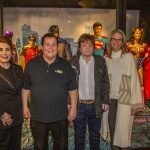 According to Dadigan, “This exhibit [is] the first time these life-like Superheroes will stand together Fighting Evil, and they will be at the Hollywood museum forever! 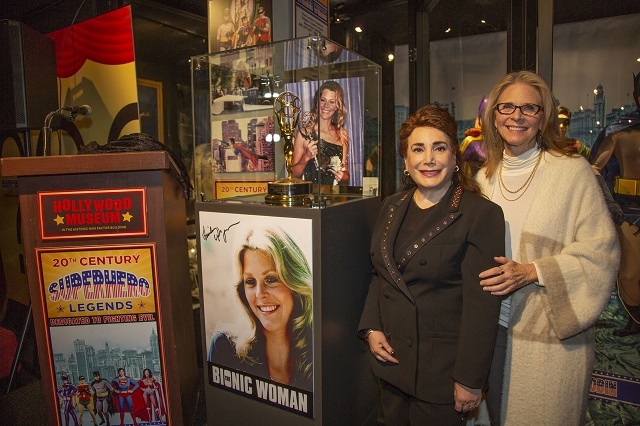 The exhibit includes: Batman (Adam West), Robin (Burt Ward), Batgirl (Yvonne Craig), Superman (Christopher Reeve) and Wonder Woman (Lynda Carter) as well as items from Lindsay Wagner (The Bionic Woman). Metallic lunchboxes flanked many a Superhero’s profile, no doubt evocative of ol’ skool bashing potential, should any smart-aleck belittle your “nerdy” Superhero fixation: Long before geekery was cool. Of note in particular on the top shelves of another couple of adjacent cases: A signed copy of the original 1980/81 “Superman The Movie” Script, Superman Jigsaw puzzle of the same era (that almost nobody could put together due to the X-Ray vision required to suss out its million and one microscopic pieces), stills from the selfsame movie, a “Wonder Woman Princess of the Amazons Magazine” graced by Lynda Carter herself in full red, white and blue regalia, (boasting a ‘freedouble-sided poster inside’!) 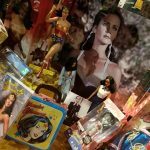 right alongside a 1970s era TV script surrounding the adventures of the Paradise Island transplant entitled “Disco Devil”, along with several Wonder Woman/Diana Prince Barbie Doll action figures, a telltale metallic lunchbox and…the piece de resistance, and one about which the LA Beat could not halt its enthusiasm on the night in question, a photo of the lavender dress Goddess Diana so fetchingly sported on her island of origin: Paradise Island that is…!!! 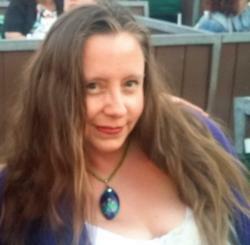 Other distinguished guests (I.E. 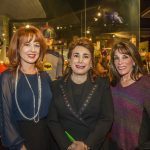 those the LA Beat could recognize provided they were not in full garb Catwoman/Batman mask or costume) encompassed, “The Big Bang Theory”’s Alice Amter (aka Raj’s mom) crowned in all her Wonder Woman-haired glory, Kate Linder aka Esther Valentine (the honorary superhero of all hearts’ desires for the evening in light of her namesake’s work on “The Young and the Restless,”) “Valley Girl” herself, (and honorary Valley Villain-thwarter to be sure), Lee Purcell, “Growing Pains”’ Jeremy Miller aka Ben (sound and successful combatter of any and all aches and stings pertaining to anything maturation related), “General Hospital” and “Seinfeld” cameo cohort Patrika Darbo I.E. the prime goddess-adversary in the ultimate George Costanza smackdown (and seriously, who in their right mind has never wanted to defeat Costanza? ), Sofia Milos of “CSI Miami” fame (engendering her own form of Justice in our most dewy-skin-provoking, frizzy-hair-invoking of all 50 states), Meredith Thomas of “Pajama Party” fame (and one who could, no doubt, antagonize antagonists in her sleep, unless insomnia was that of the antagonizer), and penultimately, Composer Martin Blasick, along with his insightful (about all things non-inciteful) wife Natasha, but certainly not LEEast, Lee Meriwether one of the most slick and Matrix-y Catwoman there ever was!!! 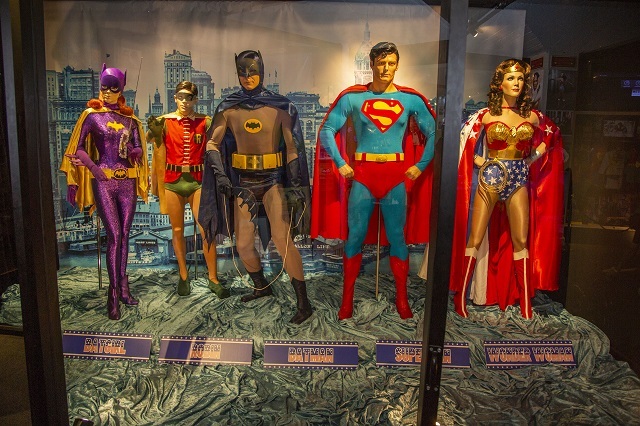 All in all, a super, stellar, star n’ strip filled-evening with which to be reckoned, and with 50 years’ worth of memorabilia appealing to fans from the early/mid 20th century to the present, who wouldn’t balk or perhaps even delight at such a notion? 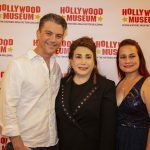 For more information, please visit The Hollywood Museum. 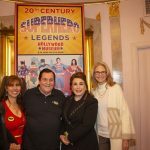 This entry was posted in Attractions, Events, Movies, Upcoming Events and tagged 20th Century Super Hero Legends Exhibit, 20th Century Super Hero Legends Exhibit – Fighting Evil, Adam West, Batgirl, Batman, Burt Ward, Donelle Dadigan, Lindsay Wagner, Superman, The Hollywood Museum, wonder woman, Yvonne Craig. Bookmark the permalink.